French furniture is a true depiction of classic art. 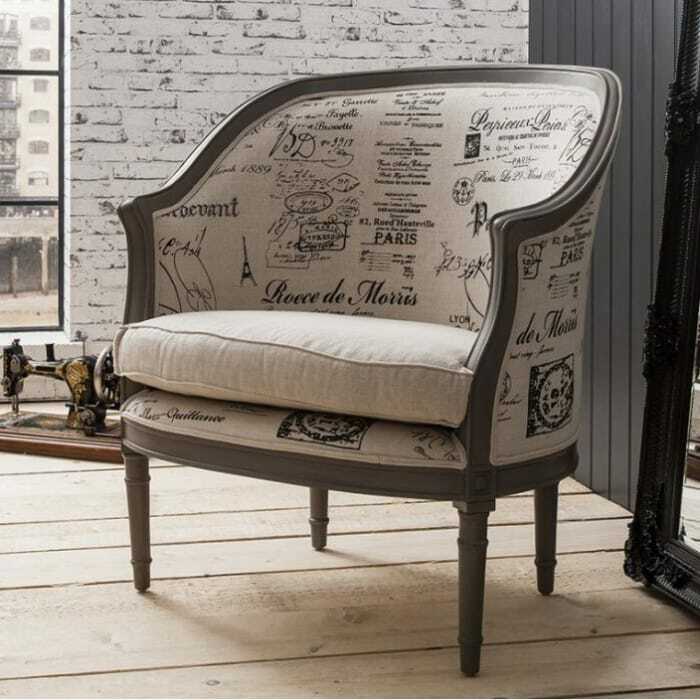 The artistic look of the Parisian furniture is cherished by every furniture lover. The Parisian furniture is made by French designers and a lot of thought is put in the designs. Why Parisian Furniture Is The Ultimate Favourite? Parisian furniture has always something special to offer. The French design is delicate and wonderful. These designs truly satisfy the buyers. Parisian furniture is readily available, because a lot of manufacturers know the French designs are popular. Parisian furniture has created beautiful home interiors with innovative and wonderful ideas. Your home would never lose the element of everlasting beauty with the Parisian brilliance. The French furniture is inspired by the royal French decor. 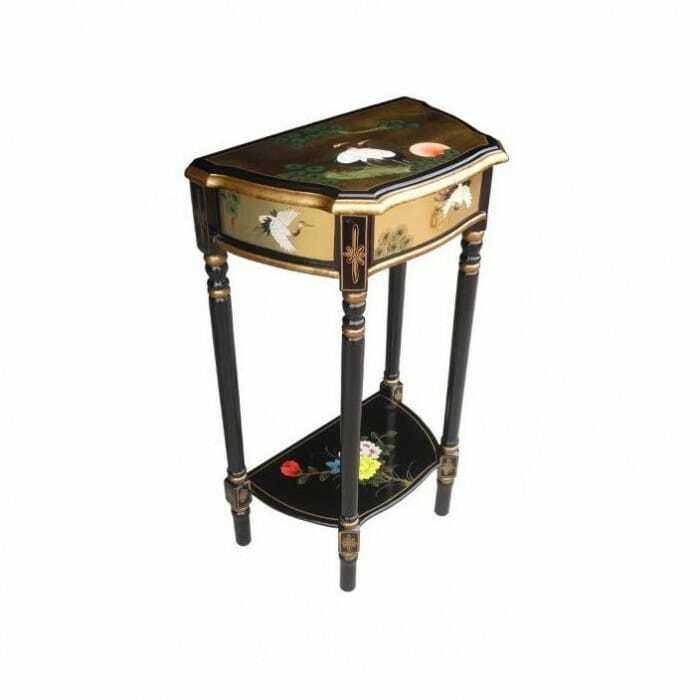 These include carvings, cabriolet legs, shiny lacquers and elegance in designs. These designs have the touch of the aristocratic furniture. The initial designs were complicated and detail orientated. But to give them a more presentable and usable look, it was improvised and we see a modified version of the French furniture in homes now with less ornate patterns. 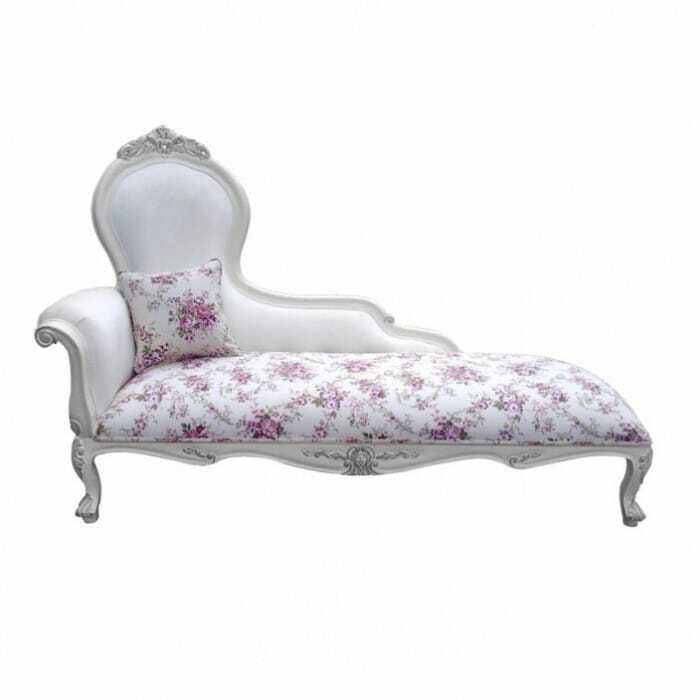 Elegance and beauty is the core of the Parisian furniture. Halls and living areas are the most trickiest and challenging part of the home to get right. 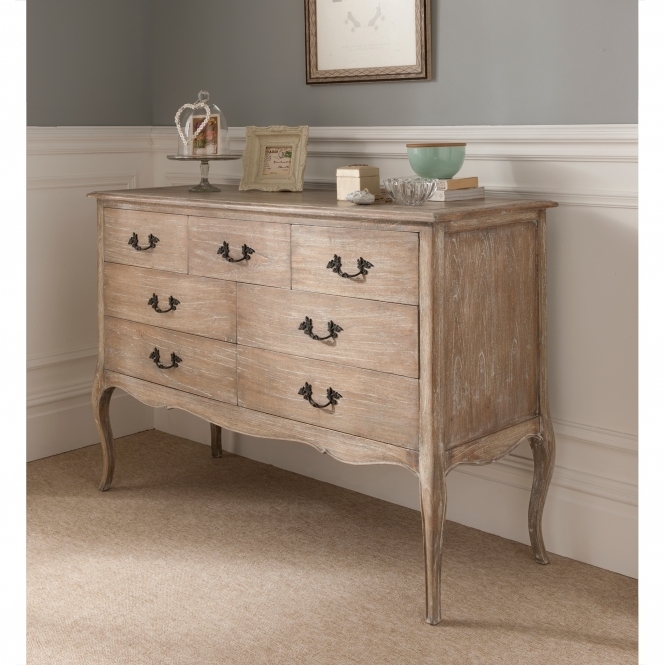 French furniture has so much to offer to give even the most awkward and ill shaped hallways a revamped individual look. 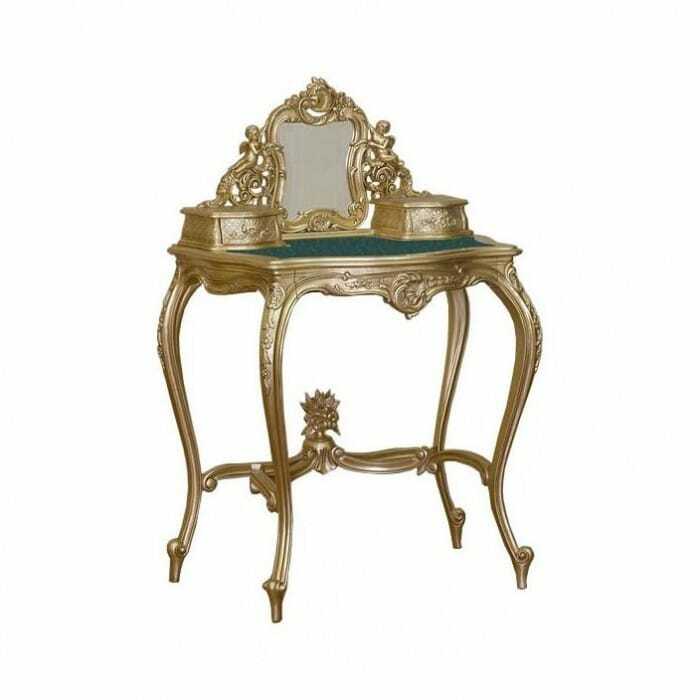 The French style mirrors, console tables, and commodes can add a touch of style and art to your home. If there is room in the hallway, a classic floral bench or a French chair would work in an excellent way. Entering in your home would be a pleasure for everyone. And you can always add a French Chippendale to your living room collection. A sense of Romance and intimacy can be fully portrayed in your bedroom with a French style decor. French beds will never get old, their designs are timeless. French furniture offers colour schemes for bedroom of all design styles. If you’re seeking something refreshing and sparkling, then white is the right choice. Provencal collection has many options for the pleasure seekers. Low foot-board Parisian style beds, Louvre and carved beds look beautiful. 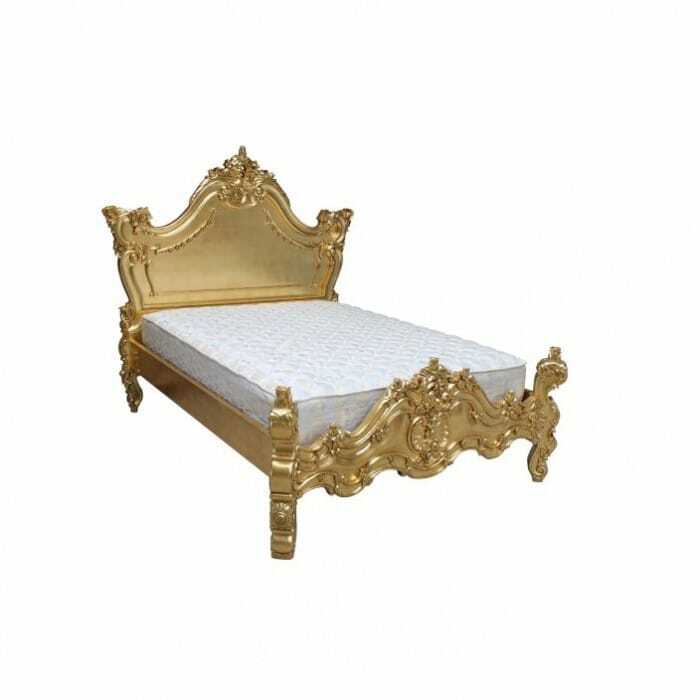 Gold and ivory beds have their own grandeur and uniqueness. If you like to add some shine and glitter, or you simply adore antique gold, then the Parisian style beds are just perfect for you. French furniture has unlimited styles in all the areas of home decor. Women feel incomplete without a vanity table. 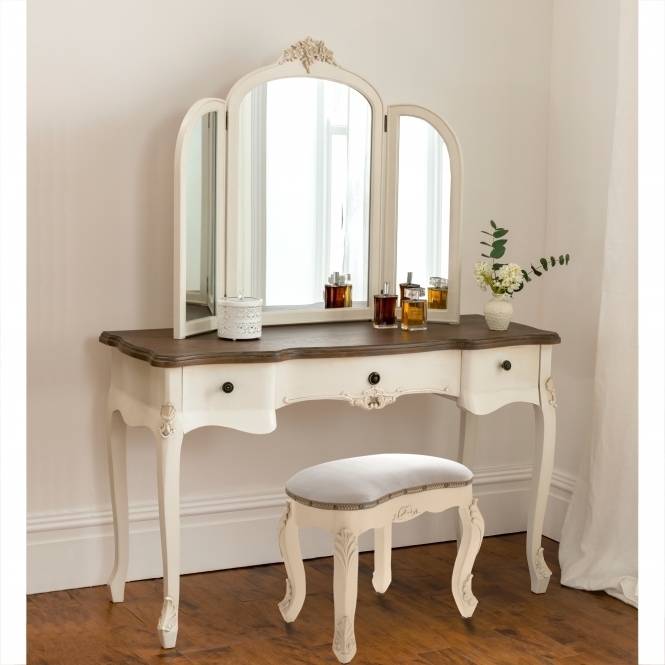 French styled dressing tables could be addictive. Once a woman has it, she simply can’t do it any other way. Triple mirrored dressing tables are found in more than one design. Secret drawers and carved tables are the most exclusive features of Parisian furniture. French sofas are the winners. They are stylish, durable and comfy. The old hickory is amongst the top favourites. Napoleon style sofas are also seen in most homes due to their style and look. French style carved sofas and chairs are the most widely sold sofas. French style chests are hard to resist. Multi drawer chest are now sold in white, ivory, gold and even red and black colours. These chests are finely redesigned to give them a trendy yet traditional look. French Armoires are the signature style of the Parisian style. Single mirrored armoires, double door, double mirrored armoires, Armoires with drawers make the bedrooms attractive and organised. Another reason why Parisian furniture is at the pedestal of the most loved furniture is that it is the most perfect blend of artistry, antiquity and innovation. All the Parisian style furniture that enhances our interior designs is made in consideration with our needs and the structure of our homes.